Chris is a unique street and fire performer who is travelling around the world putting on shows full of power and exciting danger. Born in Australia but now living in Estonia/Europe, Chris has now performed on four different continents and in more than 20 countries. His extreme tricks create interest everywhere around the globe. Chris Blaze is also the director of an Australian/Europe based fire company Fractafire. Chris Blaze is a successful international performing artist. 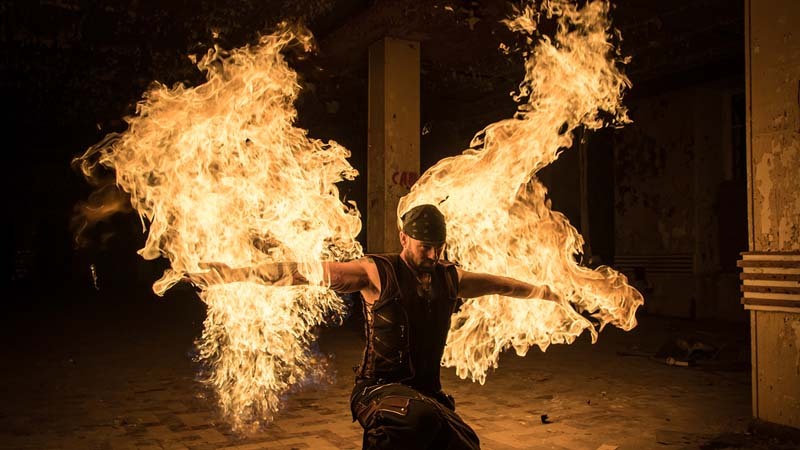 Learn how Chris has done this and how you could do it for yourself in this great informative workshop for fire performance, and performance in general.